Aomi Karado loves living in Japan. 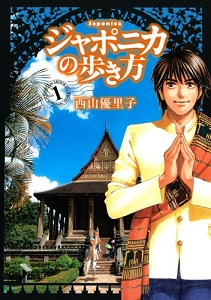 During his senior year in college, he goes on a trip to mainland Asia with his friends. Unfortunately, because he was caught in some illegal activity with the locals during his trip, his job offer got canceled. While looking for another job opportunity, he is introduced to a career by a diplomat. The job description calls for him to to work at the emissary in the Kingdom of Laos. Karado will have to deal with his fear of foreign countries to grab this opportunity. Ghosts. UFOs. Curses. Mishima Rin despises such supernatural occurrences. She is a child genius with an IQ of 200, and she is determined to disprove all supernatural events through science and technology. She sets up a school "club," which she uses to collect data and conduct research. Out of slight curiosity, Akutagawa Shutaro joins her club... which he immediately regrets. Now, Shutaro is basically her servant. These two will unravel the supernatural mysteries and horrors of their school and town. 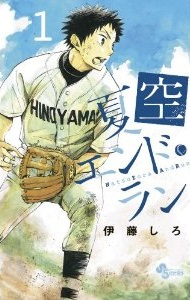 Second baseman Kaizu Chiaki is a normal senior high schooler who aims to reach the Koshien with his teammates and worries about his future career. One day, a new teacher arrives at his school. Her name is Takamine Touko. 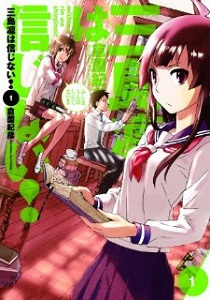 Crossing the boundaries between teacher and student, Chiaki and Touko find themselves gradually attracted to each other. Copyright (c) 2007-2017 by MangaHelpers. All rights reserved. All times are GMT . The time now is 04:47.